Lightning Round: Associate fashion editor, Eugene Lim, recaps the week with his personal observations on style and culture. A week is an interesting measure of time. It always seems longer at the start, and shorter near the end (like at 5pm on a Friday evening, with a deadline looming). This weekly column is a roundup of stuff that I've discovered. Sometimes it's about life, sometimes it's about adulting, but mostly it's about what I've learned in my role as a fashion editor. If you ever thought that purchasing a piece of furniture from IKEA and building it yourself would be a fun and relaxing way to spend the weekend, it's not. For starters, there's the logistics of transporting your furniture home, where the delivery time is dictated by your postal code. Then there's the combination of a confusing instructional manual and me not being the greatest at following instructions—a terrible recipe for "fun" and "relaxation". On top of that, it ends up being a workout. And given that I barely survived classes at boxing boutique gyms the likes of Uppercut and boOm this week, it's definitely not ideal. My advice? Shell out a little more to get the good folks of IKEA to build it for you. While I speak for myself that building your own IKEA furniture is a terrible idea, props to the Swedish furniture retailers for recognising the buying behaviour of the millennials. 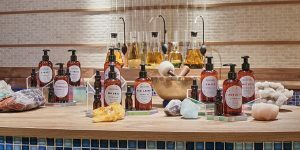 IKEA has successfully married desire with practical sensibilities, by translating the aesthetic of brands that these millennial consumers are familiar with, and distilling them into a capsule collection. Take, for example, the recent collaboration with STAMPD— the minimalist West Coast fashion label that partnered with IKEA to produce a range of products from T-shirts, metal hangers, mesh wardrobes, sneaker boxes and even skateboard. And following that, the much-anticipated collection with Virgil Abloh. I do not know where I would put a massive red-coloured rug with the word "BLUE" printed on it, but I do know that I want it. If you understood the title above, you share my pain, perhaps. For those who don't, it means taking a 'loss' in an attempt to purchase a pair of sneakers. 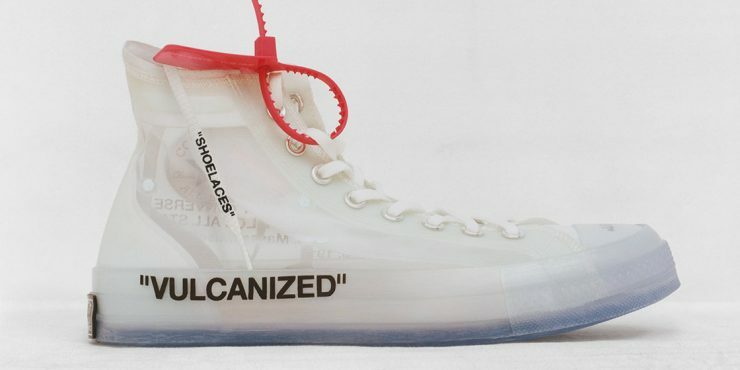 The Off-White™ x Converse shoes, which dropped last Saturday, was, in my opinion, the best of Virgil Abloh's reworking of the Nike icons, 'The Ten'. I know the Converse's Chuck Taylor is not a Nike sneaker, but Abloh deals in irony, so erm, deal with it. Also Converse is part of the Nike family now, so there you go. The iconic silhouette of the Chuck Taylors—made with a translucent body—would have been a great reason for me to put my best sock forward had I managed to get my hands on it, but it was not meant to be. GANRYU had always been one of the most underrated menswear brands under the COMME des GARÇONS umbrella before it was shut down last year. 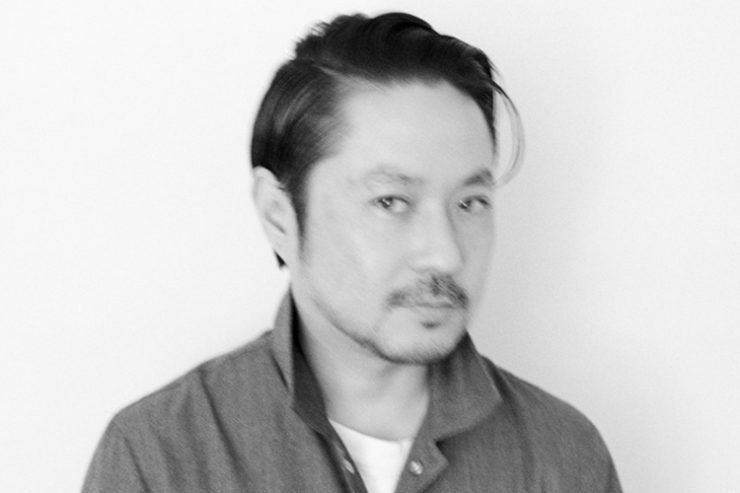 Head Designer, Fumito Ganryu, who cut his teeth as a pattern marker under Junya Watanabe before launching GANRYU, is launching his eponymous label with a runway show at Pitti Imagine Uomo 94 this June. Known for his wearable yet highly considered garments—such as using shirting fabrics to create outerwear—his garments radiate a quiet confidence. Fumito Ganryu's debut collection will be an exploration of the relationship of the body to the clothes, and promises to be a modern yet conceptual collection. While that doesn't say much at this point, I am just glad that a talented designer is making his comeback into the menswear universe. As a die-hard fan of LeBron James, and a die-easy fan of the Cleveland Cavaliers, I am absolutely miffed that the Cavs are down 0-2 (for non-NBA fans, NBA playoff works in the best of out seven series, with the first team to four wins advancing to the next round). 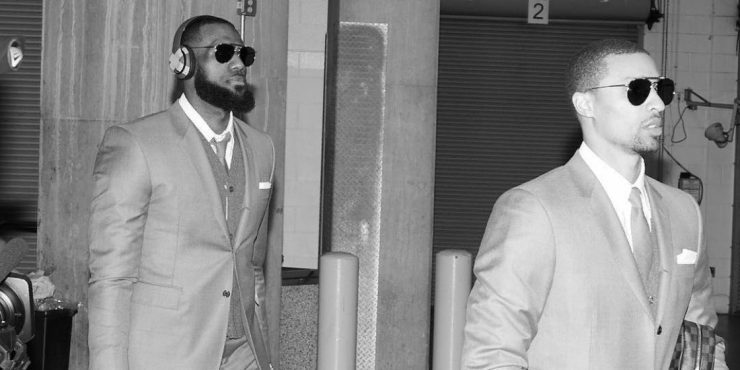 Instead of dwelling on the bad, the sole bright spot (until they get their first win in the series) is most definitely the Made-To-Measure Thom Browne suits that the team has been wearing for their away games. Made in Super 120 twill wool, in grey and black, the suits are cut in Thom Browne's shrunken silhouette. The outfit comes complete with matching Oxford shirts, cashmere sweater vests, ties, and pebble leather boots. When asked about the decision, veteran Kendrick Perkins said “It’s just a togetherness [thing]. I mean, it’s something that LeBron came up with and we all just kind of rock it together.” Well, if you're going to lose, at least they are going down in style.